Your child did it! They made it through elementary school with flying colors, and now they’re ready to embark on the next phase of their academic journey–the transition to middle school. Whoa! Where did the time go? And while I’m sure you’re excited–and your child is probably even more excited–it makes sense that they might be a little nervous, too. But before you get caught up in the horror-movie-background-music, here are a few things you (yes, you!) can do to answer your child’s questions about middle school, and make it just a little bit less of a culture shock for your child. 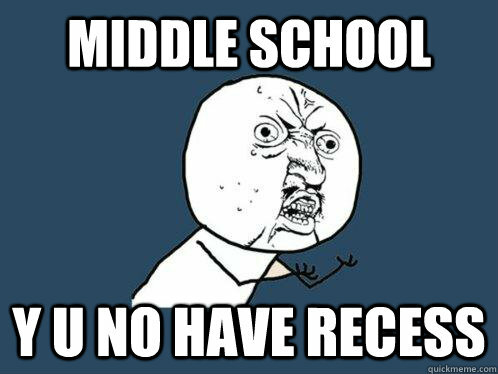 What does your child know about middle school? Probably not much, beyond what Nickelodeon has taught them, and why should they? Your child’s elementary school teachers haven’t sat them down and given them the rundown of what they should expect, so here’s what you can do! 1. To start off, pull up your child’s Middle School’s website and read through the school’s announcements with them. Make sure your child is aware of any upcoming events, assemblies, etc. This will give them a feeling of security, knowing what’s going on in the environment they’re about to be plunked into. 2. You should also make sure your child understands and accepts the major changes they’re going to have to undertake. Is your child aware that middle school has (dun dun dun!) no recess? They’re also probably used to having their own personal desk to place their things, but does your child know how to use a locker? Make sure that your child is aware of, and ready for, these changes! 3. Try and get your hands on a copy of the school’s handbook, and read through the school’s policies and procedures with your child. What are the school’s policies on food and drinks in the classroom? Does your child’s school require uniforms? To quell your child’s fears of being sent to the principal’s office on the first day of school, calmly go through the rules, so they know where they can safely step. What if I’m late? The passing period is so short! Passing periods are undoubtedly the biggest difference between elementary school and middle school. Your child is most likely accustomed to having just one teacher, and staying in the same classroom all day, save for an hour of lunch and 30 minutes of recess–but now your child will have to (gasp!) walk. Passing periods can be tough to get used to, especially during the first couple weeks of school, when your child still hasn’t quite memorized the locations of all of their classes, but don’t fret! You can help your child get used to their school’s passing period in advance. The best medicine for passing period fears? 4. Set a timer for 3 minutes, and go for a casual walk with your child. Time can be deceiving. And once your child realizes that they can actually get very far in three measly minutes, they won’t worry one wink about a 7-minute passing period. All they really need is a little confidence boost, and they’ll be ready to take on the world! What if I get lost? How will I find my classes? How can you help your child conquer these fears, and ensure that they find their way? Here are a couple of ideas. 5. Get a map of your child’s Middle School (there is probably one available on the school’s website), gather a few of your child’s friends, and plan an adventure day. Don’t worry–you don’t have to trek through the desert or the forest. Basically, the idea is that you all explore the middle school for the day and find the locations of each of your child’s classes. Before you do this, you’re probably going to want to call the school’s front office to make sure it’s okay. It’s also probably a better idea to explore the school when it’s out of session, so that it is not crowded. 6. Check the school’s website and see if they offer any summer programs. Does your child want to learn to paint? Why not take a painting class at their new middle school? Many middle schools offer summer programs for incoming students, in which they take fun, educational classes, meet new friends, and get acquainted with the school’s campus. What if I don’t make any friends? Odds are, your child will be attending middle school along with all of their elementary school buds, but they’re probably worried as well. Your child might end up in a class or two without anyone they know, which can make them feel lonely. 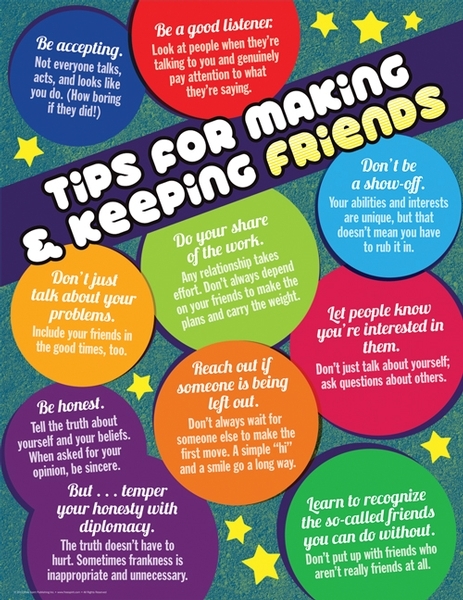 Here are a few tips to ensure that your child makes friends! 7. Encourage your child to join a club. Your child’s school’s website probably lists out the different clubs, sports, and programs they offer. Read through these with your child and try and find something your child is interested in. Even if your child can’t play an instrument or isn’t a fan of sports, there are still plenty of clubs they can join! Community service clubs, while being a rewarding experience, are definitely a great way to meet people. 8. Work on some basic social skills. You should also make sure your child knows that everyone else is in the exact same boat as them—everyone is trying to find their own niche and fit in! What if I can’t handle all the homework? What? You’re telling me they don’t make that show anymore?! Anyway. So how can you make sure that your child stays on top of their work, and remains stress-free? 9. For the first couple weeks of class, talk your child through their homework schedule. It doesn’t have to be rocket surgery. Just make a list of all of the assignments they have to complete and make a schedule detailing how long they will spend on each assignment. 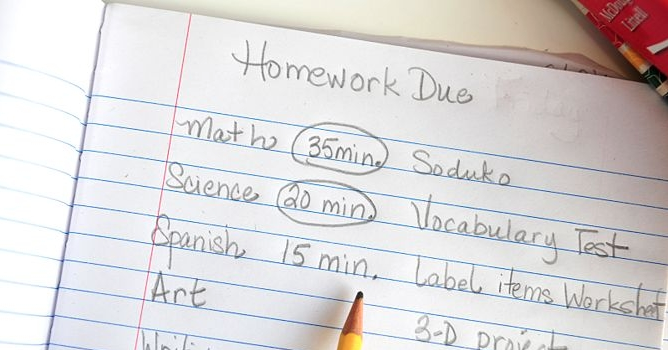 It might be even better to start a “practice” homework schedule during the last few weeks of summer, so your child can get the hang of keeping on track on their own! Don’t have time to teach your child about organizational and time management skills? Another option could be to hire a tutor! Tutors aren’t just their to help your child understand a math problem, or learn to read faster, they can also teach your child how to effectively manage their time, and complete their assignments before their due dates. Middle school might seem pretty intimidating at first, but your child will be fine! Most children adjust rather quickly, and have no trouble making the transition to middle school. And if your child knows what to expect, middle school won’t be anything to stress over–it’ll be a piece of cake.